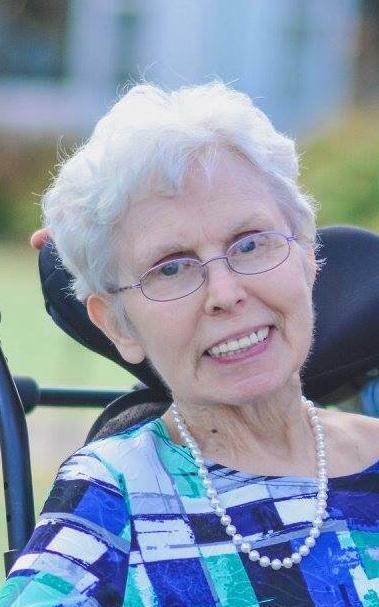 Barbara Ellen Jackson, 74 of Pasadena, MD and more recently Severna Park, MD, passed away on April 3, 2019. Barbara was born on January 20, 1945 in Baltimore, MD to Carl and Mattie Davidson. She graduated from Severna Park High School in 1963. She went on to attend Towson College where she received her Master’s degree in Education, minoring also in Spanish. She was an elementary school teacher and then later an insurance agent with Allstate. She taught Sunday school and sang in the church choir at Pasadena United Methodist. On August 27, 1966, she married her beloved late husband James C Jackson. They were married for 50 years having lived in Pasadena, MD their entire lives. She is survived by her two sons, Jason Scott Jackson and his wife Karen, David Matthew Jackson and his wife Ashley; and four beautiful grandchildren, Adam, Avery, Mattie and Emma Jackson. She was preceded in death by her parents, Carl and Mattie Davidson and sisters, Lois Bosse and Mary George.